We work with clients who have vehicles of all shapes and sizes: cars, vans, trucks, and SUVS. 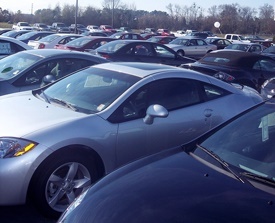 At FL Car Buyers, we are proud to buy used vehicles in any condition. No matter where you are in Florida, we can come to you to buy your car, pay you the cash up front, and take your old car away for free. We buy cars for cash in Florida and we can offer you the best deal for your car. We buy cars in just 1 phone call and our cash offers for cars in Florida are at all-time highs. The process is simple, the customer service is beyond compare and the cash offers are at an all time high! Do not go through the hassle of meeting strangers in odd places with the hope that they will buy your car. We have a fair, quick and consumer friendly process for generating price quotes. We work with you to gather information about the vehicle history and compare your vehicle to get you the best cash value amount. We want to buy your car regardless of the age and we will pay more cash for cars 2000 or newer anywhere in Florida. You have everything to gain in selling your car for cash and you only have the stressful car sales process to lose. That is why you deserve a fast and accurate cash offer for your old car, crashed car, junk car or just no longer needed car. Pick up your phone and dial 386-682-2890 today to speak directly with a cash for car buyer. Getting the best cash value for your car is excellent! Local car buyers in South Florida, Central Florida and North Florida : Miami, Palm Beach, Hollywood, Fort Lauderdale, Davie, Boca, Naples, Orlando, Tampa, Clearwater, Sarasota, St Petersburg, Daytona, Pensacola, Jacksonville, Tallahassee, St Augustine, Gainesville, Ocala, and Panama City.